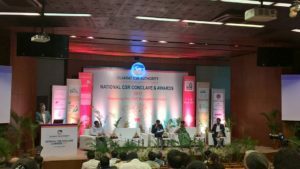 Ahmedabad: The Gujarat CSR Authority (GCSRA), which is an initiative by the Government of Gujarat, inaugurated its first ever “National CSR Conclave: Decoding the CSR Ecosystem in India” in Ahmedabad today. The National CSR conclave aims to create an enabling environment for corporates, government agencies, NGOs & civil society, academics and other stakeholders to share their expectations, aspirations and responsibilities to address the social challenges faced by the State and deliberate on developing solutions, thereby bringing improvements in both policies and practices. Making his welcome address to the host of dignitaries and participants, at the inaugural session, Mr. A. M. Tiwari, Chief Executive Officer, Gujarat CSR Authority said, “The platform attempts to bring all stakeholders under one roof to access the changing paradigm of CSR in India to accelerate inclusive growth. While organizations are investing in CSR initiatives, it still remains at the periphery of their vision. It is important to understand and measure the impact and return on investment of the CSR initiatives. The forum will witness engagement of stakeholders in a deep dialogue through knowledge sharing, offer solutions to local challenges and enable meaningful collaboration between state governments and corporates on social challenges.”He elaborated upon the role of GCSRA in promoting CSR in the state of Gujarat, and committed to providing support to the process of implementing innovative CSR projects. 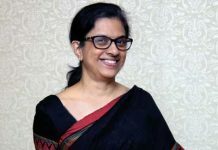 While the enforcement of the Corporate Social Responsibility law has led to an increase in the compliance of businesses to their social responsibility, there is a need to understand the present dynamics, strategic perspectives, align CSR with business strategy to create a sustainable business and corporates to work closely with varied stakeholders to maximize the impact of their CSR programmes. The conclave witnessed dialogues and deliberations for implementation and impact creation and strengthening of existing CSR initiatives through adoption of best practices. While setting the context to the conclave on the first day and the ensuing deliberations, Mr. Aloysius P. Fernandez, Chairman, Myradasaid, “The state of Gujarat has taken a leadership position to recognise and promote innovative and impactful CSR initiatives and eventually spread the mission across the country. Malnutrition, low-cost healthcare, sanitation, skill development are the key focus areas of the conclave. There is a need for greater private participation, which collaborates with the government, NGOs and people’s institutions to form a successful CSR model.”Emanating from his rich experience in the development sector, Mr. Fernandez shared his thoughts on the importance and need of public-private partnership, in order to successfully accomplish the development objectives of the CSR initiatives in the state. The first day of the conclave was marked by a number of panel discussions on several themes, undergirded by the need to find solutions aided by the CSR mandate. The technical session presented by Mr. Sudhir Sinha, CSR Expert and Advisor, PwC India, and chaired by Mr. AM Tiwari, CEO, Gujarat CSR Authority, laid focus on assessing the recent developments, strategic perspectives and practices in the Corporate Social Responsibility domain in India from both the policy aspects and current practices being deployed by the corporates, and the reasons underlying the same. The discussion of this session titled, “Present dynamics and the paradigm shift: deploying CSR to accelerate inclusive growth” focused on the policy shifts and practical aspects related to strategic management and corporate governance and providing solutions to organize CSR to accelerate inclusive growth. The session on “Adapting best practices: Challenges in scaling up innovations,” was chaired by Mr. JP Gupta, Principal secretary, Public Health Department, Government of Gujarat, and focused on ways to evolve CSR approach as a response to the demands of environmental and social crises. Various models of approach were discussed and themes under the sanitation and healthcare services deliveries were looked at. The conclave is witnessing attendance by a range of luminaries from different fields, such asMr Rohit Shah, Chairman, CSR Committee, GCCI; Mr SudarshanSuchi, Program Head, Reliance Foundation; Ms. Sibani Swain, Economic Advisor, Ministry of Corporate Affairs, Government of India; Dr Prashant, Health Specialist, UNICEF State office; Mr RP Khandelwal, Chairman and Managing Director – HLL Lifecare and Mr. Ravi Kulkarni, Head CSR, Tata Motors (Sanand). The second day will witness participation from different stakeholder segments from across the country. This would also provide an opportunity to showcase offerings, initiatives, and solutions to effective target audiences at one platform.